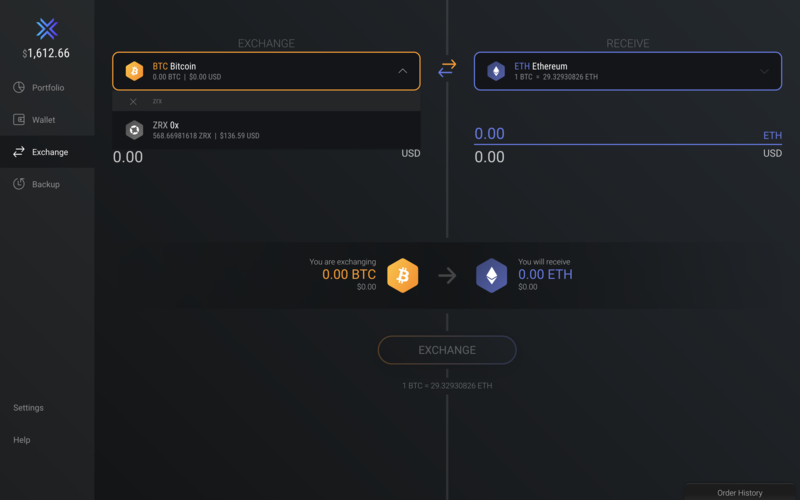 Want to know how to exchange assets in Exodus? Buying and selling one digital asset for another in Exodus is straightforward and simple. 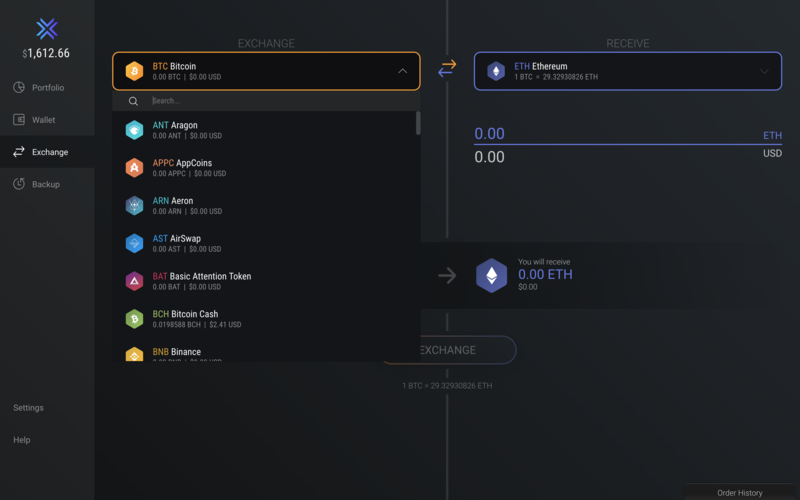 Every asset in Exodus has over 70 exchange pairs to choose from. That means you can quickly exchange over 70 different assets directly for an asset of your choice - securely and privately, directly within the comfort of your wallet! On most platforms, altcoins can only be traded for major assets like BTC or ETH. So if you wanted to exchange Zcash for Augur on an online exchange, you would need to do ZEC > BTC > REP whereas, in Exodus, you can do ZEC > REP directly. That is awesome, how do I exchange? Select the assets you want to swap for one another. 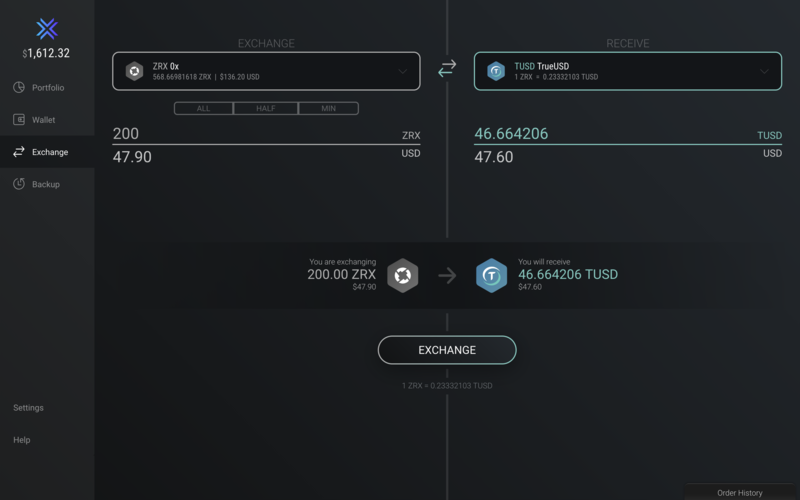 Pick the asset you want to exchange from the drop-down menu on the left side of the exchange window, and pick the asset you wish to receive on the right side of the exchange window. You can even search the asset you want by entering the asset name or ticker symbol. Enter the amount you wish to exchange. You can automatically populate an amount to be exchanged by clicking ALL, HALF, or MIN. You can also specify the exact amount you wish to exchange or receive by entering the values yourself. 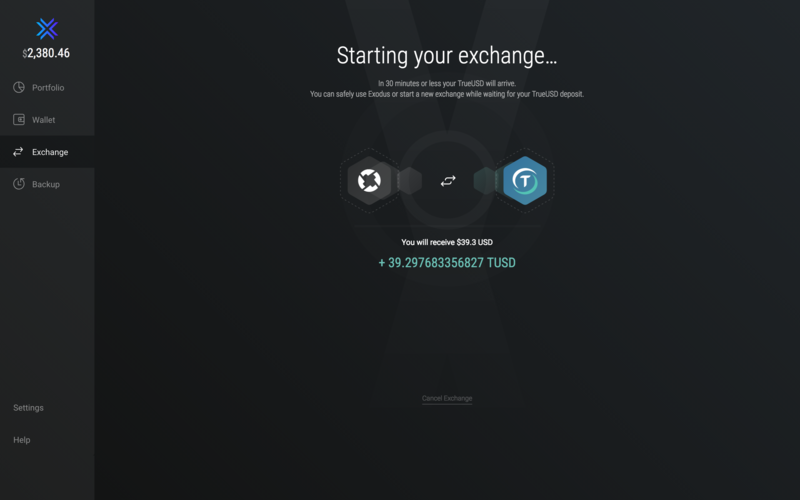 You can even enter the amount in your local currency. Click Exchange if you are satisfied with the exchange rate displayed. These are live rates, so if you don't like a rate you see after hitting EXCHANGE, you are given a 3-second window to cancel the exchange before the funds leave your wallet - just in case your finger slipped. If everything looks good, the asset will be sent directly from your wallet to be exchanged and your exchanged asset will be delivered back to your wallet. Most exchanges will complete in under 30 minutes. Once the exchange has been initiated, there is nothing more to do on your end. You are free to close Exodus during this time if you wish. The next time you open your wallet, your exchanged asset will be there waiting for you.